When it comes to picking a destination for your next big international trip, there are lots of factors for an LGBTQ traveler to consider. Given its centuries of history, celebration of its vibrant LGBTQ community, world-class culture and ease of travel, London is an unforgettable spot that must be added to every gay traveler’s list. Even if you’ve already made the trek across the pond, there’s so much to see and do in London, it’d be impossible to do it all in one go. 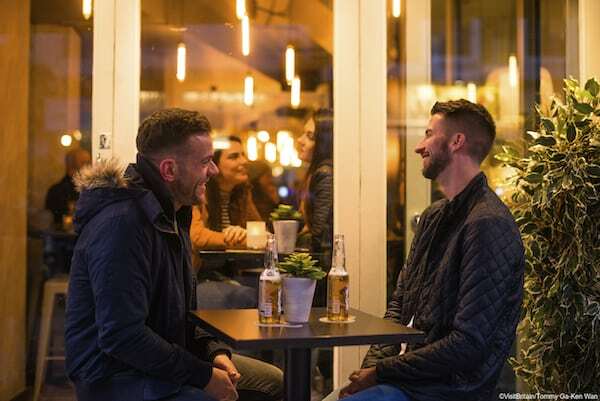 Plus, with so many special events and attractions filling the calendar, each visit promises unique opportunities to experience one of Europe’s most gay-friendly cities. We’ve already covered the ins and outs of London’s world-class theatre scene, including all the star-studded productions coming to the West End this year. The gay appeal of London, however, extends far beyond theater queens with plenty for every party monster, culture vulture, dancing diva and more. London is a progressive, cosmopolitan city, so gay travelers need not be overly cautious displaying affection when visiting. There are a few neighborhoods with a higher concentration of LGBTQ businesses and culture, however. Soho has long been considered the heart of London’s queer community with iconic bars, clubs and LGBTQ-focused businesses. For late-night ragers and hedonistic dance parties, Vauxhall is the place to be. Then, there’s London’s East End, where the alt, indie and hipster gays come out to play in pubs and gallery spaces. Each neighborhood offers a staggering array of bars and clubs catering to every stripe in the LGBTQ rainbow. No visit to London is complete without a trip to Heaven, the iconic venue that has drawn megastar performances from icons like Kylie Minogue, Madonna, Adele and more. The G-A-Y parties are legendary Friday and Saturday nights. Young crowds flock to G-A-Y Bar in Soho for cheap drinks until midnight, then it’s off to the nearby G-A-Y Late to keep the party going until 3 a.m.
Rupert Street Bar draws out the smartly-dressed after-work crowd for drinks and burgers in the early evening, but turns up for a party scene at night. Hot DJs and hotter bartenders bring the heat to the popular spot. Nearby, the Duke of Wellington Bar is a great place to start your night with two floors for pints and socializing. There’s drag bingo Tuesdays, pub quizzes on Wednesdays and Friday nights attract a lively bear crowd. 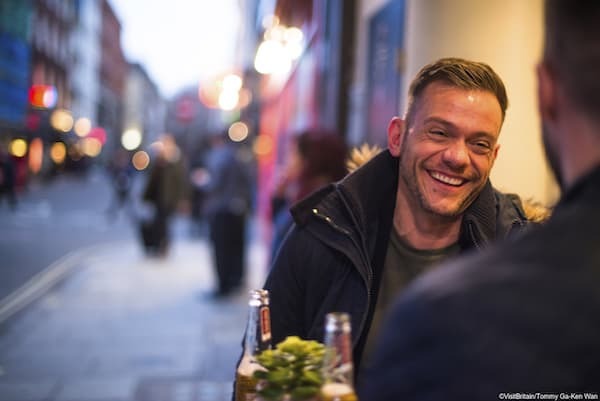 If you’re looking for a regular bear spot, furry friends come out of hibernation to drink and dance at London’s premier bear bar, Kings Arms Soho. This cozy, casual pub has less fuss than a lot of gay bars, and hirsute gents sporting scruff are particularly popular. Resident DJs keep the party pumping Saturday night, and there’s sing-along karaoke on Sundays. One of Soho’s original gay venues, Village Soho, has been entertaining gay visitors since 1991. Enjoy the smoking hot go-go boys on the bar and the DJ spinning bangers all night. The sleek spot can guarantee eye-candy at all times thanks to the mixed media art adorning the walls. The Yard Bar in Soho is a gorgeous space with an outdoor space indoors. Beautiful multi-leveled patio and garden space. There’s also the Loft Bar upstairs where you can enjoy the upstairs bar and outdoor patio. The Friendly Society is a a great place where all letters and colors of the LGBTQ rainbow mix and mingle together. In Vauxhall, you’ve got to stop at the Royal Vauxhall Tavern, South London’s oldest surviving gay venue. In 2016, RVT was made a Grade II listed building, honoring its importance to LGBTQ history. 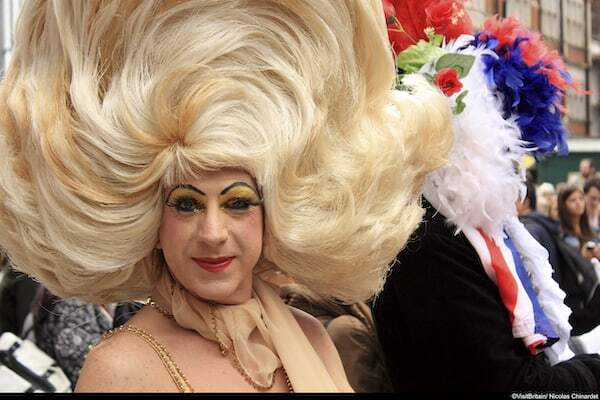 Today, RVT is known for its party nights like Bar Wotever, Beef Mince, Drag Idol and Duckie. The Eagle in Vauxhall draws thirsty men (literally and figuratively) to its horseshoe-shaped bar. Not to be missed is “Horse Meat Disco” night at The Eagle Sundays. For all-night dancing, Union Club in Vauxhall boasts the longest operating hours in all of London. Bump and grind the night away to house and techno until the late morning. Beats are bumping at Fire in Vauxhall as well, where the three rooms of high-energy DJs and parties take place nestled in the Vauxhall railway arches. The club has become increasing less exclusively gay over the years, but it’s still a welcoming space for LGBTQ people looking to sweat it all out on the dance floor. London’s East End has a reputation for its cutting-edge and alternative scene. Alt-pub the Glory is a local favorite for its wild parties, packed dance floor, performance art, go-gos, cabaret, drag and more. Creativity is the name of the game, so show up ready to see and be seen. Of course, one of the most beloved East London locations is Dalston Superstore, an almost mythically perfect queer space where it’s possible to dance all night, sit down for “Disco Brunch” in the morning and admire art from all LGBTQ artists in the gallery. Upstairs is slightly more laid-back, but downstairs is where the party really gets going. Another East End fave is BJ’s White Swan. The venue has been a staple of the East End scene for more than 30 years thanks to an eclectic mix of wild parties, drag performances and DJs. Similarly, the Two Brewers has been serving the Clapham community in South London for more than three decades. The cabaret and dance venue offers an eclectic mix of programming, from quiz nights to live concerts, to cater to all kinds of crowds. They also have drag shows six nights a week. In addition to the bars and clubs, there are some legendary London parties that are not to be missed. There are good times to be had on the dance floor and a chance to get a little naughty in the dark room at XXL where everyone is welcome, but the the crowd over-indexes in bears and similarly big, burly men. Their mantra “one club fits all” fits, as it is considered the United Kingdom’s biggest bear night, XXL sometimes attracts more than 2,000 attendees. Queer kitsch goes internacional with Lady Olé, a party that celebrates queer British and Spanish cultures at various clubs. And that’s just a small sampling of the regular parties popping up nightly. There’s a lot more to London’s queer community than just partying, though. Gay travelers should make a stop at Gay’s the Word, the pioneering lesbian and gay bookstore and community resource center. Like most LGBTQ bookshops, Gay’s the Word is so much more than a brick and mortar place to pick up a new coffee table book or paperback beach read. Discussion groups, signings and readings showcase work from queer literary greats and up-and-comers. Pride celebrations take the city by storm in July. 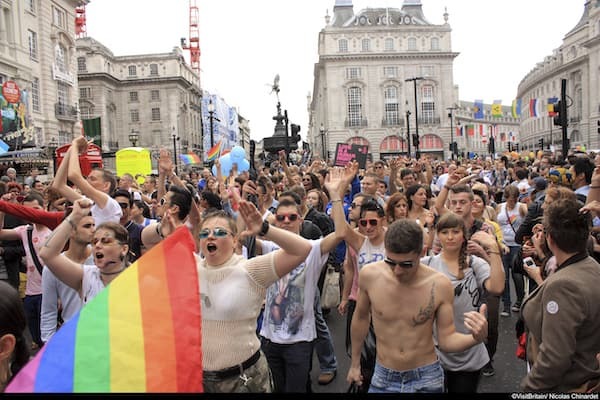 There’s Pride London, a 30,000-person strong parade that winds its way through London and culminates in a Soho street party. Pop acts and cabaret performers compete in Pride’s Got Talent to give undiscovered artists a shot to be part of the festivities. Also in July, UK Black Pride is Europe’s largest celebration of African, Caribbean, Latin American, Asian and Middle Eastern LGBTQ people. The diverse, inclusive event honors the political history of Pride, but the vibe is still overwhelmingly joyous and welcoming. Cinephiles should plan their visit for November to coincide with the Fringe! Queer Film & Arts Festival. Although they host screenings throughout the year, the fall fest has been providing opportunities to see avant-garde film, workshops, installations, discussions and parties annually since 2011. The British Film Institute also hosts a LGBTQ+ film festival, BFI Flare, in March. If the amount of specifically LGBTQ things to explore in London seems staggering, you may want to take a seat before diving deeper into the breadth of cultural offerings in the city. We’re sure you’re already familiar with the likes of Tower of London, Windsor Castle, the Shard, Shakespeare’s Globe Theatre, Kew Gardens, Buckingham Palace and Wembley Stadium. However, you might not realize you could save money (and in some cases save time by skipping the lines) with the London Pass. It gives you access to lots of London’s most popular attractions for a fraction of the cost. Passes are available for one to ten consecutive days. You can also buy your Oyster Card (Metro/Subway Card) in advance from the VisitBritain Shop the only vendor that sells them to U.S. visitors. One must-see spot is the incredible Victoria and Albert Museum (known colloquially as the V&A). It’s the world’s top art and design museum, home to a permanent collection of more than 2.3 million objects representing 5,000 years of artistic achievement. The current exhibition everyone’s talking about, Christian Dior: Designer of Dreams, examines the history and impact of Dior. It runs through July, but don’t let the “Sold Out” notice on the website deter you. Extra tickets are released monthly around the 15th, and limited day-of tickets go on sale at 10 a.m. The museum also has an incredible LGBTQ working group. Check out the regularly available free LGBTQ tour or this guide to objects on display with LGBTQ themes, connections and narratives. There’s so much new and once in a lifetime happening in London today you don’t want to miss out. The only thing hard to find is enough time to see it all.